I've been playing a little bit of Fallout Shelter since it was announced and launched on the same day during an E3 press conference last week. On one hand it's nice that they made a mobile game set in the Fallout universe that doesn't have any paywalls or annoying F2P mechanics. You can purchase "lunchboxes" if you want but it's less critical than any other F2P game I've ever seen. On the other hand I've played this exact style of game before. Build a little community of characters, get more space for them, get new facilities, upgrade stuff. There's nothing new here. The main thing the game has going for it is the Fallout branding thrown on top of it. 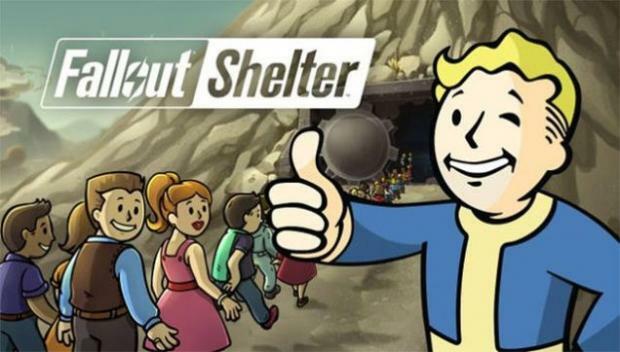 I've fairly confident this game would not have gotten the attention it has if it didn't have Fallout attached to it. I can already tell that I'm waning in interest on this game. It's kinda cool that they made a nice F2P game in the Fallout universe, but there's really nothing new to see here. I still want to play it, I just lack anything iOS. Hopefully they don't take too long to release the android version. Like I said, it's fun for a couple days and then it starts to wear thin.